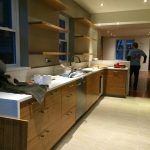 These are progress photos of a rowhouse renovation that is nearly complete in the Bela Vista section of the city. 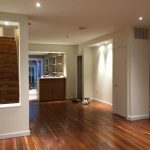 The project is a gut-renovation which involved some structural work to open up the first floor space and create a more expansive open floor plan between the entry and the garden space at the rear. We were happy to have been able to blend old and new, and express some of the interesting character and textures that were present in the old structure. The project should be completed in the next couple of weeks. 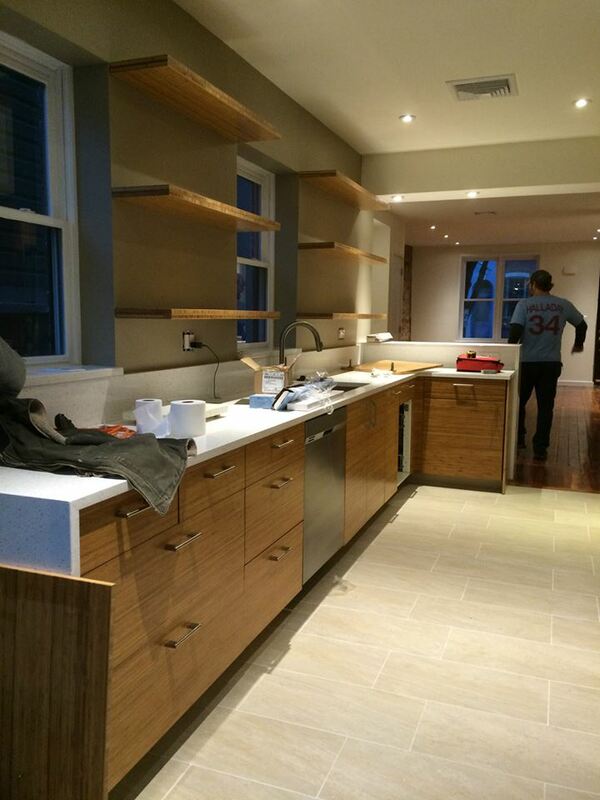 Kitchen cabinets are nearly complete, with some panels yet to be installed. View from the rear door of the kitchen looking back toward the living room area. View from the entry looking to the rear. 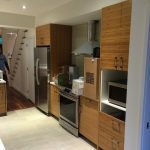 The masonry wall that separated the kitchen from the main house was opened in order to allow for a view from the front, all the way to the rear yard. The original wood floors and stairs have been retained, and some of the brick party wall is now expressed to the interior. 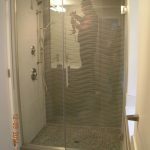 View of the master bath shower, nearly complete. 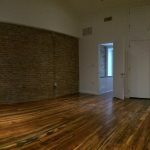 Third floor studio space with the original yellow pine floors. This accent wall was a bit of a found opportunity during demolition. In removal of the layers of old finish and paint, much of the plaster was found to be intact. 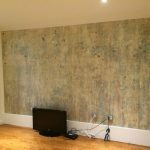 The layers of paint, wall paper paste, etc that were present have remain imprinted in the old plaster, creating this mottled finish. The plaster has been sealed to preserve the surface, and it will remain exposed as a feature wall in the master bedroom.